Lodges of the Sabie and Sand River ecosystems - this vast area, open, adjacent and part of the Kruger National Park incorporates the Mala Mala (3 Lodges), Londolozi (5 Lodges) and Singita (3 Lodges) Game Reserves, as well as Tinga Concession Lodges (2 lodges), Skukuza Restcamp, Lower Sabi Restcamp and Shishangeni Concession Lodges (3 lodges) inside the Kruger Park, along with the 23 various Lodges of the Sabi Sand Wildtuin. 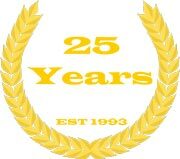 A total of some 41fully hosted and catered for commercial accommodation venues, along with a few private and selfcatering ones. 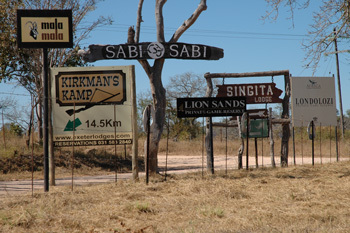 The Sabi Sands Game Reserve shares a common unfenced boundary with the Kruger National Park and Mala Mala to the east. Two perennial rivers, the Sabie and the Sand flow through this protected conservation area, sustaining the diverse fauna and flora. This river system enjoys one of the highest and most bio-diverse wildlife populations of any area in Africa. Such is the integrity of the environment that there is consistently a year round population of animals that remain within these biomes. From the Ryolite ridge to the east, through which these rivers escape to the Indian Ocean at Komatipoort, across the flat Basalt Plains, Karoo sedimentary rocky areas, to the undulating Granite soiled plains of the western sectors. There is limited migration of animals between these independent properties and the Kruger National Park, ensuring genetic diversity within the entire 2, 7 million hectare protected area. This area is in the process of being further enlarged within the Peace Park Plan and integration with protected areas in Mozambique, the Parque National do Limpopo and numerous Private reserves to the south and west of the Kruger National Park. 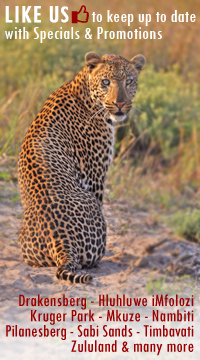 The Sabi Sands Game Reserve pioneered this unification which dates back to the 1950's when the landowners initiated the dropping of the internal fences and the sharing of a common environmental management programme. A popular concept with numerous protected areas now following this practise. Although not all members of the Sabi Sand Game Reserve - today there are a number of these original families who are now third and fourth generation landowners within the Sabi and Sand River system conservation area - a credit to the foresight of their forefathers who loved and cared for Africa's dwindling wildlife. 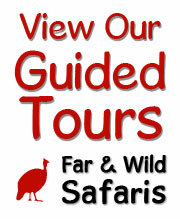 Their legacy is possibly the best area in which to view southern Africa's extensive biodiversity. Skukuza and Lower Sabie Restcamps are arguably the most popular restcamps within the Kruger Park. Due to considerate game viewing practises where clients remain within the 'profile' of the open vehicles, the trackers and game rangers of the various Private Lodges and Concession areas are able to offer exceptional game viewing of all the general game species, as well as the high profile animals, the Big 5. The success of viewing leopard really close (pioneered by the Varty's of Londolozi and Rattray's of Mala Mala) within this area is legendary, and allowing sufficient number of days, such animals as elephant, lion, rhino, leopard, buffalo, cheetah, giraffe, zebra and a vast variety of antelope and other species, may be closely observed, free roaming within their own territories. This greater area is home to 147 mammal, 507 bird, 336 tree, 49 fish, 34 amphibian and 114 reptile species. Many of these animals would most likely never have encountered a fence as they exist, free ranging, in this vast corner of Africa.